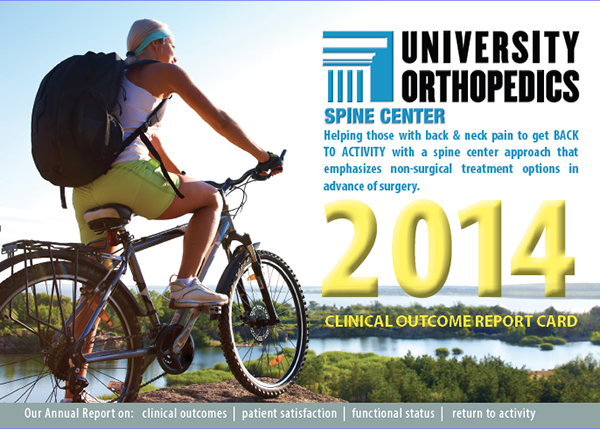 At University Orthopedics, we care about our patients and more importantly your experience. 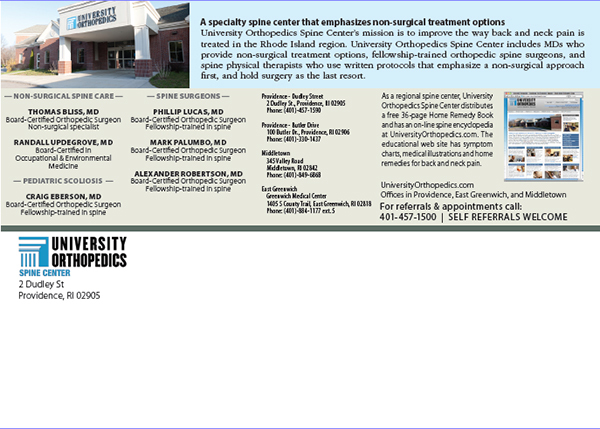 University Orthopedics uses written protocols that emphasize a nonsurgical approach first, and surgery is held as the last resort. 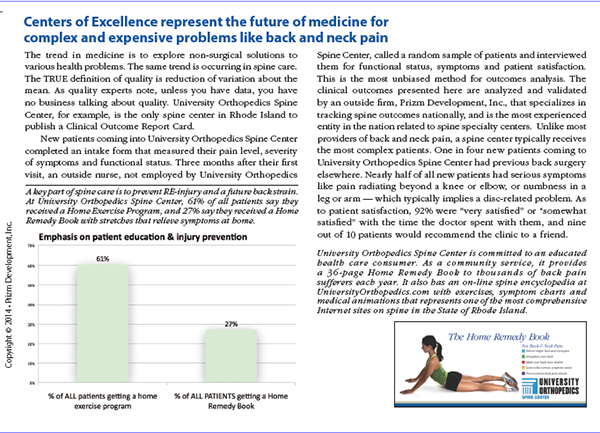 University Orthopedics is the only center in the State of Rhode Island to track and publish a Clinical Outcome Report Card that documents use of pills, patient satisfaction, and return to function. 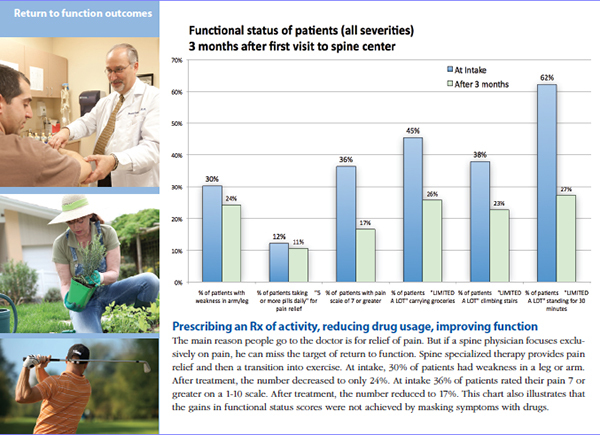 New patients coming into University Orthopedics completed an intake form that measured their pain level, severity of symptoms and functional status. 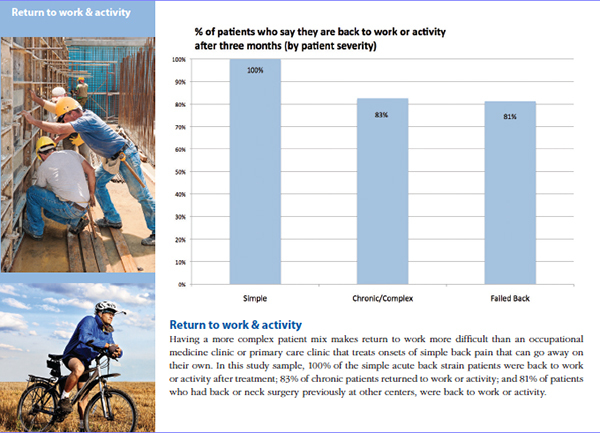 Three months after their first visit, an outside nurse, not employed by University Orthopedics, called a random sample of patients and interviewed them for functional status, symptoms and patient satisfaction. 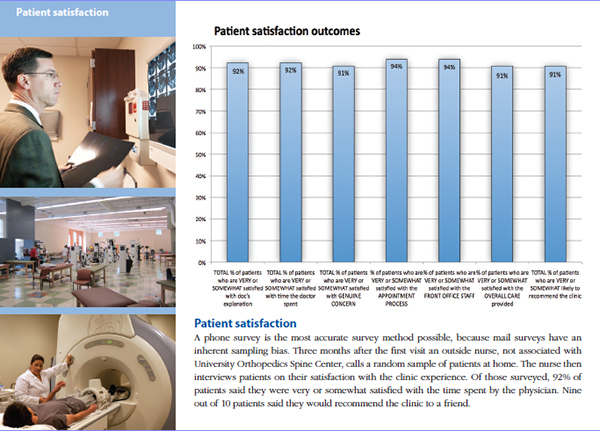 This is the most unbiased method for outcomes analysis. 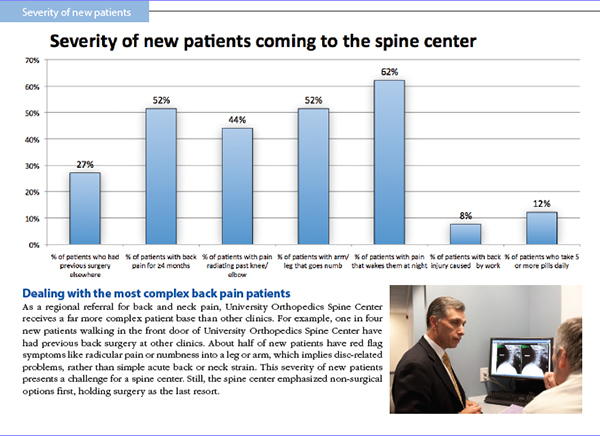 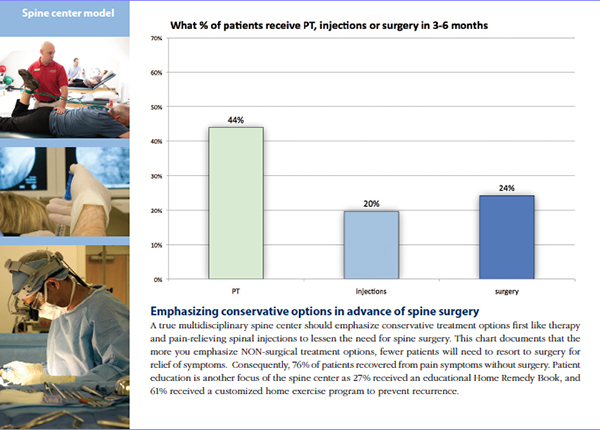 The clinical outcomes presented here are analyzed and validated by an outside firm, Prizm Development, Inc., that specializes in tracking spine outcomes nationally, and is the most experienced entity in the nation related to spine specialty centers.